After having breakfast start journey for Mandawa and upon arrival check-in at the hotel. Later on in the day, you can spend your time exploring the place. Intermingle with the locals and enjoy some local food. Get back to the hotel and overnight stay in Mandawa. 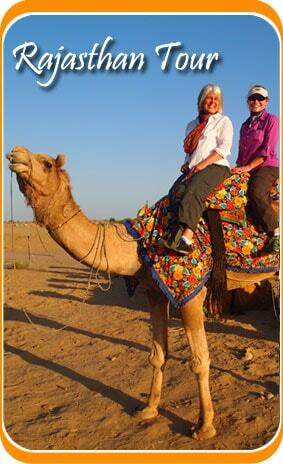 After having breakfast start journey for Bikaner and explore villages in between. Check in at the hotel post arrival in Bikaner. In afternoon, you can explore Junagarh Fort that was constructed in 1588. Other places that you can visit are Lalgarh Palace and local market. Return to the hotel and evenings are free at leisure. Overnight stay in Bikaner. After having breakfast in the morning, check-out from hotel and start your journey for Khimsar. Later in the day, you can take sightseeing tour of the city and visit museum and Khimsar Fort. It is now a heritage hotel. Evenings are at leisure and overnight stay in Khimsar. After having breakfast in the morning, start your journey for Jodhpur and check in at the hotel here. Places that you can explore here are Mehrangarh Fort and some parts of Thar Deserts. Day is at leisure for relaxing and rejuvenation. Overnight stay in Jodhpur. After having breakfast in the morning, gear up for the sightseeing trip of Jodhpur and visit Jaswant Thada and Mehrangarh Fort. Return back to the hotel and overnight stay in Jodhpur. After having breakfast in the morning, check-out from the hotel and start your journey for Osian. The place is popular for Jain as well as Hindu shrines. Later on you can explore temples such as Mata Temple and Mahavira shrine. Overnight stay in Osian. After having breakfast in the morning, check-out from hotel and start your journey for Kumbhalgarh that is famous for flora and fauna. During your journey, you can visit very famous Ranakpur Jain Temples. These temples have approximately 1200 carved pillars and each is different from the other. Keep driving for Kumbhalgarh. Overnight stay in Kumbhalgarh. Have breakfast and proceed for jungle deep safaris. You will be able to see Chausingha, Wild Boar, jackal, Nilgai and Chausingha. Return to the resort and spend evenings at leisure. Overnight stay in Udaipur. After morning breakfast, take sightseeing tour of Udaipur and visit Lake Palace Hotel that is located on Jag Niwas Island. 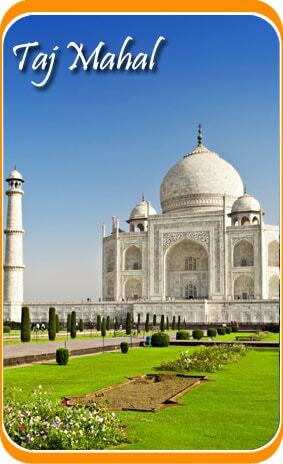 Other places that you can visit are Sahelion-ki-Badi and Jagdish Temple. During evening, you can take boat ride on lake Pichola. Return to the hotel and overnight stay in Udaipur. Morning after breakfast in the hotel, check-out and head towards Chittorgarh having the history of love and courage and the only one of its kind as per Rajput customs and culture. Arrive Chittaurgarh and check in the hotel. Later visit Chittorgarh Fort which is a vast and huge cpmplex. Day free at leisure. Overnight stay in Chittourgarh. Head towards Samode afer having breakfast. Upon arrival check-in at the hotel here. Samode is a rural community and you can intermingle with the people here. Places worth visiting are Havelis and Citadel. Overnight stay in Samode. After breakfast in the hotel, check-out from the hotel after having breakfast. You will be transferred to the hotel. Day is at leisure and overnight stay in Delhi. After breakfast check out and transfer to international airport to board the flight for onward journey.